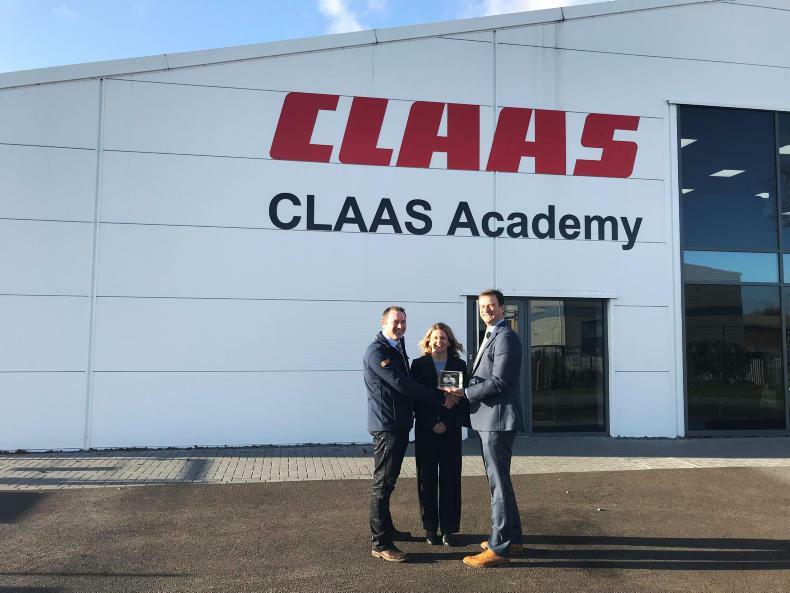 Nigel and Karon Wilson of Ashfield & WIlson Ltd of Dungannon, Co Tyrone receive the Claas Tractor Sales Performance Award from Claas UK CEO Trevor Tyrrell, for the highest number of sales from a single branch in 12 months. 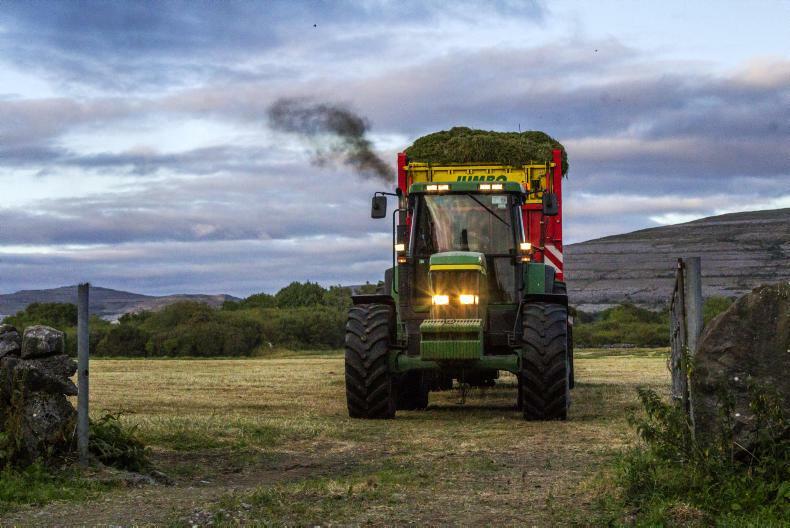 The Claas tractor sales performance award was won by a dealer from Ireland for the third year running. Ashfield & Wilson Ltd, a single-branch family dealership based in Dungannon, Co Tyrone, was announced overall winner. 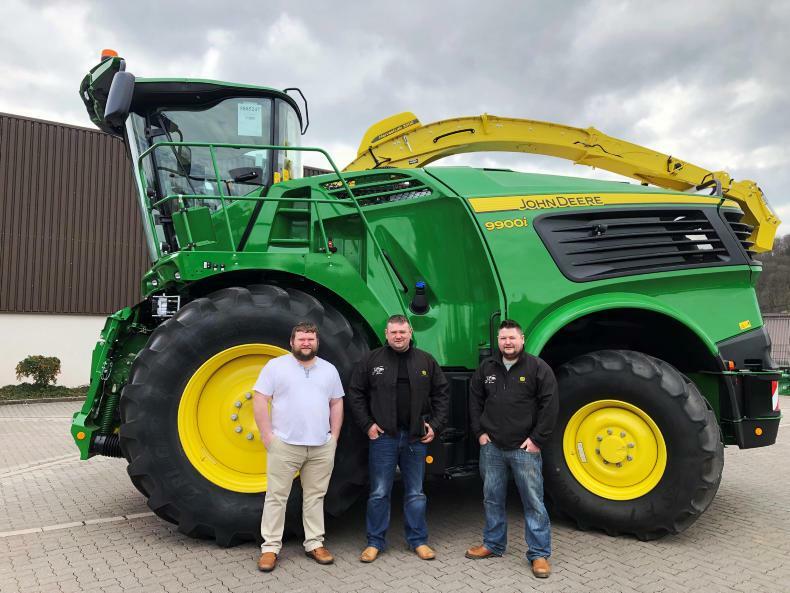 This award recognises the Claas dealership that has achieved the highest level of tractor sales per branch in 12 months. 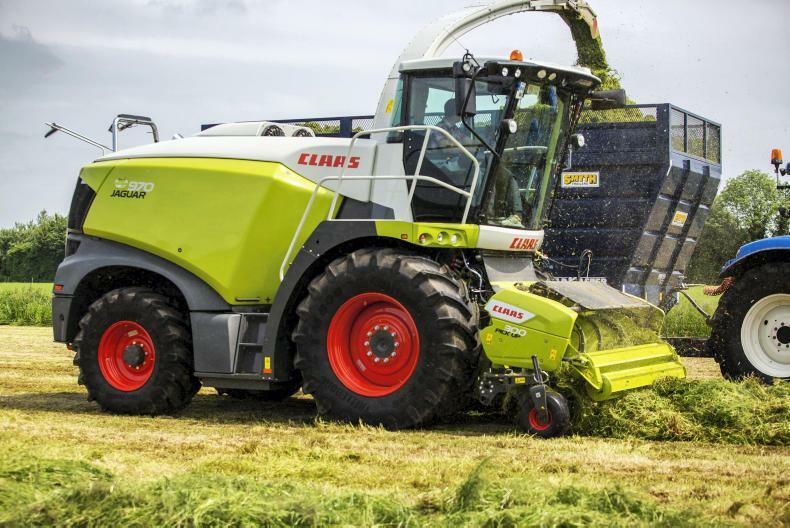 The awards took place at the dealer council meeting held at the Claas tractor factory in Le Mans, France.